Make a Mosquito Trap, do it yourself DIY, science project - ingredient - bottle, cutter (scissor, knife), cup measures, tape, brown sugar, yeast, 1/4 cup, black cloth. Do It Yourself (DIY) a Home made lava lamp, Video. Ingredient : Oil (vegetable oil), Food coloring, alka-seltzer (pain reviler medicine), water, and bottle. 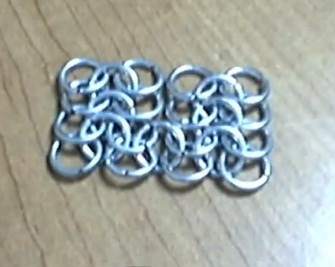 How to make the 4 in 1 chainmail, chainmaille pattern and knit small pieces together. Siakap - Lates calcarifer - Siakap a.k.a. Kakap Putih, Gelungsung, selunsung, Barramundi, Giant Seaperch, Sea Bass. Locally referred to as the Siakap on the west coast of Peninsula Malaysia or as Kakap Putih on the east coat of Peninsula Malaysia, this fish is also found elsewhere throughout Australasia and known as Barramundi, Giant Perch, or Sea Bass. The Siakap is an exciting sport fish and gives the angler thrills with its spectacular gill shaking aerial jumps! Upon hook up this fish will tear off and commence to leap out of the water to throw the hook. If the hook isn't embedded firmly, chances are the fish will get away scot free! Generally an estuary fish, found in mangroves or at the river mouths to the sea, it also can be found further up river in freshwater. Catching it a few miles offshore is possible too. Like most fish it haunts structure like fallen trees, rock piles or depressions. Small channel runoffs into the main channel in the mangroves are favourite spots for the siakap to wait for food being washed into the main channel by the receding tide. The big siakap can also be found in the deep channels, waiting for tasty morsels to be swept in and out with the tides. The small siakap tend to school together. If one is caught, then subsequent casts will often produce several more siakap. The larger siakap tend to be loners. Siakap are normally caught with bait like fresh prawns or fish. However, live prawns or fish make the best bait to catch this fish. Casting or trolling with lures is effective too. Any lure that looks like the local bait fish is found to be effective, but then lures that look nothing like natural food can be effective too. Different estuaries in Malaysia have different successful lures. It is best to check with the local anglers (if they will reveal the "secrets") or the local tackle shops. When targeting the big siakap, use lures that look like the mullet (belanak), 6-8 inches long. Soft plastic minnow shads or grubs can be very deadly, especially when fished next to cover, or in open water too. Flies like the seaducer, pink thing, whistler, clouser minnow, deceiver, poppers and dalhberg divers are enticing fly fishing lures for this fish. There are sharp spines on the fins of this fish, so care should be exercised when handling it. It has no teeth, so the best way of handling it is by gripping it at the lower jaw lip with the thumb and forefinger. 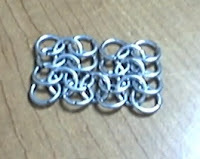 The lips are like sand paper, so the use of wire is not necessary. Mono leader of 20-40lb is sufficient to withstand the abrasion of its sandpaper like lips. Sharp gill rakers are beneath the outer most gill covers, so it is possible for the mono leaders to be cut when the fish flares its gills and shakes its head. Nevertheless the use of wire leaders is not recommended as the fish tends not to hit bait or lures with wire leaders attached. Not many siakap are lost due to the mono leader being cut by the gill rakers as the angle has to be just right. Thus the mono leader is preferred. The siakap is commonly stocked in the commercial saltwater angling ponds these days, giving the casual angler the opportunity to tangle with this great sportfish. The only draw back is that the fight is not as great as with a wild siakap, especially when the influence of the anaesthetic drugs used for transporting the fish to these ponds is still in effect. Siakap is a popular fish in our local restaurants, thus the existence of many fish farms raising siakap as there is a great demand for it. However the eating quality of the wild siakap far surpasses those raised in the fish farms. This I know from personal experience. Nonetheless only those found in saltwater are good eating, those found upstream in freshwater don't have a very nice flavour, so I'm told. Catches of siakap range from half a kilo to fifteen kilos, but any catch over 5 kg these days is considered exceptional. However there are still some rivers in Peninsula Malaysia where a siakap up to 10 kgs does not raise any eyebrows but a 20kg siakap is considered worth talking about! I would recommend all large siakap above 5 kgs to be released unharmed. The reason for this is that these big siakap are all females. They are the spawners that will continue the life cycle of the siakap in the river, giving the angler continued sport. The bigger the siakap, the more grounds for releasing the fish, as they will have more eggs to spawn! Siakap are protandrous hermaphrodite, they start out as males and then become females when reaching more than approximately 5kg. This figure varies from place to place, of course. Siakap spawn in the river mouths and estuaries. The fry will then migrate upstream and spend their growing period in brackish and freshwater. After a few years they will return to the sea. When sexually mature they will return to the estuaries to spawn again. Interesting fish, isn't it? 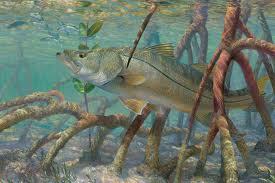 The snook from Florida, USA looks very similar to the siakap/barramundi. The main difference is the snook has a horizontal line on its body, and the siakap grows much larger than the snook. Found in ponds and mining ponds in the low lands. Originally from Indonesia, it was brought here for aqua-culture purposes. It is an excellent catch on light tackle, generally giving the angler a good fight even though it doesn't grow very large. Catches above a kilo is very good. The most common bait used is dough and bread. Nevertheless it does sometimes take crickets and worms. Starchy fruits like bananas work too. Lampam can be quite aggressive feeders, furiously hitting the bait within seconds of landing in the water. Use of berley (chum) will improve the fishing. The flesh is quite sweet, but the only draw back is the many "Y" bones in the flesh. So to enjoy the sweet flesh one has to pick the "Y" bones out! Kelah - Cyprininae, Tor tambroides. 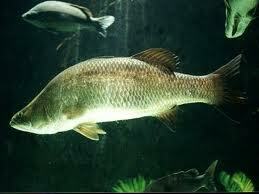 Also known as the Malaysian Mahseer. Also known as the Malaysian Mahseer, this hard fighting fish is considered the king of freshwater sport fish in Malaysia by many anglers! Just the mention of this fish will bring out reminisces of previous expeditions and the dreams of anglers yet to catch a kelah. This member of the carp family is well muscled and protected with large golden scales, as its habitat is the fast rocky rivers. The environment it lives in accounts for the power and tenacity of the fish when hooked up! Many an angler has lost the kelah due to its powerful runs into snag territory! Submerged timber the most common type of snag found in the rivers. These old tree trunks and branches washed down during flash floods. The kelah is found in our clean waters in many of the major rivers that are still unpolluted by man. The rivers in our national parks and those feeding Kenyir Dam and Temenggor dam are just some of the rivers known to hold kelah. Smaller rivers in the other states have kelah too. During the day kelah can be found lurking in the deep holes in the rivers. Placing a suitable bait there may entice it to bite. When night falls the kelah will leave its daytime haunts to feed in the shallow. It looks for food in the shallow waters and below the rapids. One can hear it actually turning over rocks looking for a tasty morsel! Thus fishing for kelah at night requires slightly different tactics. As kelah gets spooked easily, stealthy tactics are the way to go! Most kelah experts recommend very quiet movements and little light used at night. They usually fish alone as talking to a buddy might spook the fish. Kelah take a wide variety baits, but the most common are palm oil seeds and tapioca roots (ubi kayu). The palm oil seeds are obtained from remnants of harvested palm oil seeds found at the palm oil plantations. This oily seed can be used whole for large quarry or strips of its fibrous flesh used for the smaller fish. The use of ripe seeds are the best as it has a lot of oil (and smell). If it is overripe it is soft and doesn't hold well on the hook, under ripe it is very hard and doesn't hold as much oil. Tapioca roots that are slightly "rotten" are the best as it produces a strong aroma! The tuber is cut into cubes, a slit made in it and the hook buried in the slit. The size of the cube of tuber used varies from river to river. In some rivers the kelah will take tiny tapioca baits one centimetre square, in other rivers larger pieces are preferred. When the river is high and muddy due to heavy rains, bait like grubs or worms are preferred (these are the sort of food found washed into the river due to the rains). Large freshwater prawns found beneath the rocks in the river make good baits too. Natural forest fruits or nuts (neram, maris, ara, buah mata lembu, buah perah & jambu air) that are found by the river are extremely suitable baits during the appropriate fruit season. The kelah mouth/throat is very, very strong, to eat these hard natural foods. Many an angler has found the treble or single hook mangled up and returned! (Minus the fish of course!) Kelah do take lures like spoons and spinners on occasion too, but most anglers prefer to fish with bait. Ground baiting the day before fishing is important to increase the chances of catching kelah. Generally the best way of keeping crushed palm oil seeds or tapioca in the spot is to place the ground bait in a gunny sack weighed down with stones. The enticing smells will drive the kelah wild! Kelah grow in excess of 10 kilos but the 2-3 kilo range is considered satisfactory. 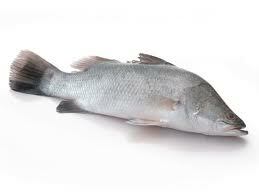 It is also a delicious fish, very highly prized for its eating qualities. Not only that but the large scales are edible too! This fast disappearing fish is a treasure to anglers here and should be conserved. Catch and release is the only way to enjoy its fighting qualities and still preserve this fish in our waters! This is just a guide before you buy or wear underwear. There are several factors that you need to know. Do not just wear download only. Among the factors that you should know before buying is, the design is beautiful, comfortable waist and the microfiber material that removes the moisture, fit to work, work up to until the end for bedroom attire. Or rather for men who wants to improve them-self.